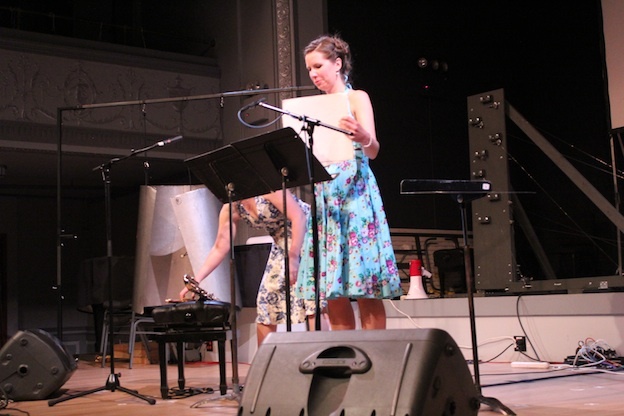 The MATA festival emerged in 1996 through the efforts of its founders, Philip Glass, Eleonor Sandresky, and Lisa Bielawa. These world renowned composers sought to provide a venue for young up-and-coming composers to present works in a professional and highly visible setting. The festival's stated goal is to "create community among young musicians, especially those whose work defies definition and doesn't fit into existing institutions." The four day festival, which is held in New York City, regularly commissions new works at the cutting edge of composition. Every year The MATA festival provides featured composers with an assembly of fantastic musicians to perform their works. Some of the musicians and ensembles that have been featured over the years include The Knights Chamber Orchestra, the Boston Modern Orchestra Project, Gamelan Son of Lion, the Calder Quartet, the Brooklyn Youth Chorus, and more. All told, the festival has commissioned 61 original works, and presented 263 performances of pieces by young composers, many of whom have used MATA as a platform to achieve continued success. 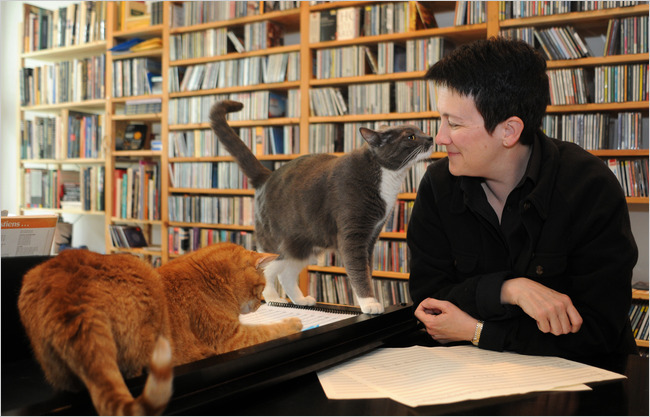 Pulitzer-Prize winner Jennifer Higdon, Derek Bermel, Annie Gosfield, Julia Wolfe, Nico Muhly, and Randall Woolf have all participated in the MATA Festival. MATA 2012 once again presented a variety of works that pushed the boundaries of what composition can be, with a seeming emphasis this year on amplifier feedback and the sonic qualities of metal. American composer David Coll's piece "Position, Influence" was a resounding success, with critics such as the New York Times and Pitchfork Media celebrating both Mr. Coll's composition and the performance by New York based soprano Melissa Hughes. For the piece, Ms. Hughes was fitted with a laryngophone, a contact microphone fixed to the throat that is used by fighter pilots. Segments of Charles de Gaulle's responses to the 1968 Paris uprising were performed by Ms. Hughes, with the amplified vocalizations resonating through large strips of sheet metal that hung behind her on the stage. Ms. Hughes' animated movements and intonations, combined with the repetition of de Gaulle's infamous phrase "I will not step down," made for a performance that ranged from intriguing to terrifying. Pitchfork reported that at times "Hughes' body language resembled someone being force-fed electrical wire." Melissa Hughes performing David Coll's "Position, Influence." Other highlights from MATA 2012 included works that made use of video projections, synthesizers, deconstructed pianos, amplifier feedback, and a pianist dueling against a video projection of another pianist. While this may sound like a far cry from Beethoven's 5th, doubters should remember that the thread that knits composition together, whether it is 1750 or 2012, is the composer's willingness to combine their creativity and genius with a technical approach to music that is then realized by the performer, and these elements are not strictly bound to the symphony orchestra form. 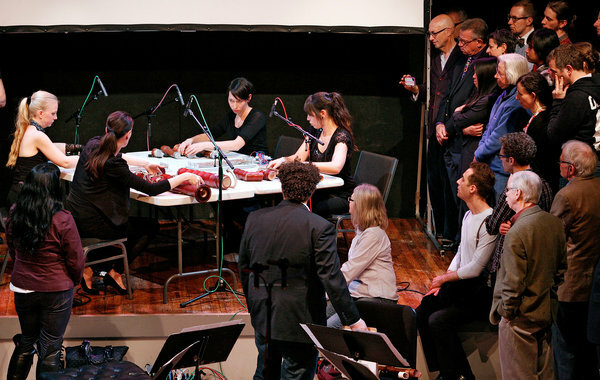 MATA's willingness to celebrate the unbounded creativity of contemporary composition will continue to make the festival an invaluable resource for the composers, performers, and audiences that value an ever-expanding definition of music and an arts environment that pushes composition in new and exciting directions.